'Venkatapuram', starring Rahul, was unveiled few days ago, it raised a lot of curiosity about what the film is going to be and who the hero is. The reason? Well, Rahul's face wasn't revealed completely in the poster. 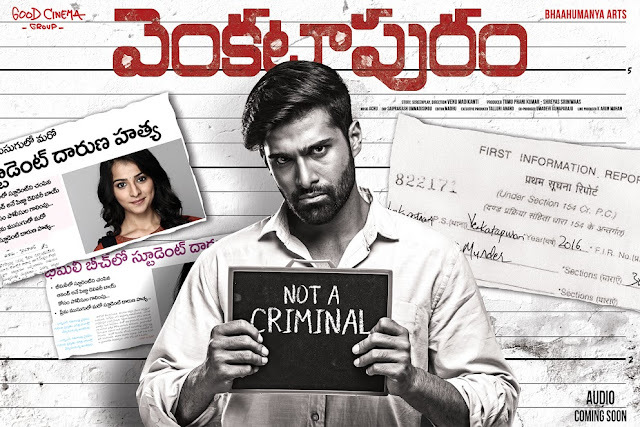 Recently, when the film's trailer was launched on the internet, Venkatapuram shocked a lot of people with its promising content. The trailer gave a sneak peek into the world of Venkatapuram where we don't know who the hero is and who the villain is? Rahul, who shot to fame with 'Happy Days' in which he played the role of Tyson', has gone for a complete makeover. His brand new avatar, along with a promising film like Venkatapuram to his credit, could give Rahul's career a big push in the industry.